Sandanski/Sarajevo - Goran Svilanovic, Secretary General of the Regional Cooperation Council (RCC) and Stefana Greavu, Head of RCC’s Political Department spoke today to young diplomats from all over South East Europe, at the 12th Winter School on Diplomacy, in Sandanski, Bulgaria. This year’s edition of the Winter School of Diplomacy was devoted to EU and NATO in South Eastern Europe and the Black Sea Region: Foreign, Security, and Energy Policies. Svilanovic briefed the young diplomats about the RCC activities as envisaged by the current organisation’s triennial Strategy and Work Programme 2017-2019. “Our role is very clear – we are to assist the EU aspirants move closer to the Union by facilitating dialogue and advanced regional cooperation as one of key requirements on the accession path. As said by the European Commission and the region’s Prime Ministers recently, regional economic integration is currently our highest priority and we work with the region’s governments to enable easier circulation of goods, services and capital, free flow of skilled workforce, a common digital approach and a dynamic investment space. However, security and stability underpin these efforts thus remaining very high on our agenda,” said Svilanovic. The keynote speech at the event, which was organised by Bulgarian Diplomatic Institute, Organisation of the Black Sea Economic Cooperation (BSEC), the Hanns Seidel Foundation and European Academy Berlin (EAB) and supported by the RCC, has been delivered by Michael B. Christides, Secretary General of the BSEC. In the session that followed RCC’s Head of Political Department presented the RCC’s activities elaborating on specifics in the security cooperation in the region and addressing common challenges through regional cooperation. “Although during the last couple of years South East Europe witnessed steady improvement of the security situation we still continue to face asymmetric security challenges. Some of them are domestically generated while others originate in other parts of the world, especially those related to migrations and increase of violent extremisms and radicalisation activities,” said Greavu adding that the RCC will continue its direct engagement to support regional security cooperation, aimed at increased mutual trust and practical cooperation among the region's economies but also between them and the European security structures. 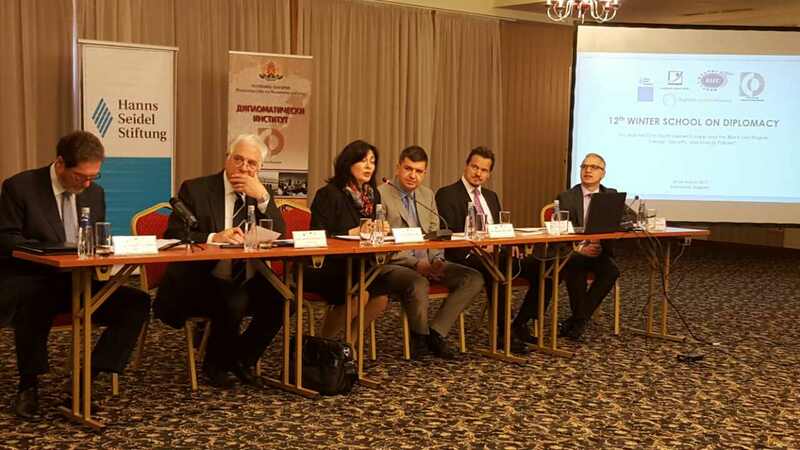 In the following three years the RCC will be working on the activities structured into the three main thematic areas or flagships - skills and mobility, connectivity and competitiveness but it also intends to contribute to Roma integration, better governance, improved functioning of the rule of law and enhanced security in SEE, placing emphasis on coordination of those activities in the region.